Illinois State University has joined the Institute of International Education (IIE)’s Generation Study Abroad initiative to double the number of American students who study abroad by the end of the decade. Illinois State is committed to doubling its number of undergraduate students who study abroad over the next five years. 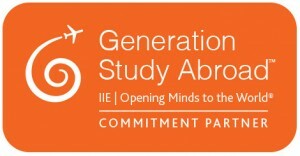 Generation Study Abroad is engaging educators and public and private sector stakeholders in an initiative to get thousands more U.S. students involved in academic study abroad programs, international internships, and service learning opportunities and non-credit educational experiences around the world. Building on its nearly 100-year commitment to study abroad, IIE has dedicated $2 million to the initiative over the next five years. “One of the guiding principles of the Educating Illinois strategic plan is to prepare students to be informed and engaged global citizens, and an experience studying abroad is instrumental in this preparation,” said Illinois State University President Larry Dietz. Through its newly adopted International Strategic Plan (2014-2018), Illinois State is enhancing the development and promotion of international education opportunities to enable more students to take part. More than 400 Illinois State students go abroad to 60 countries every year. Illinois State offers more than 90 programs administered by the university and its colleges, and offers additional study abroad opportunities through a number of organizations including CEA Global Education, American Institute for Foreign Study, CIS Abroad and the School for International Training. More than 150 higher education institutions from 41 U.S. states had already signed the Generation Study Abroad Commitment when it was launched in March. The U.S. Department of State’s Bureau of Educational and Cultural Affairs, several foreign governments, as well as key higher education associations and study abroad provider organizations, have also pledged to support the goals of the initiative. Recognizing the importance of an internationally focused workforce, IIE is also actively seeking the participation of corporations and the business community. The next round of commitment partners will be announced by IIE in May. IIE launched Generation Study Abroad because the number and proportion of today’s students who graduate with an educational experience abroad is far too low. Currently, less than 10 percent of all U.S. college students study abroad at some point in their academic career. According to the Open Doors Report on International and Educational Exchange released by IIE last November, 295,000 students studied abroad in the 2011- 2012 academic year in credit-bearing and non-credit programs. Generation Study Abroad aims to grow participation in study abroad so that the annual total reported will reach 600,000 by the end of the decade. 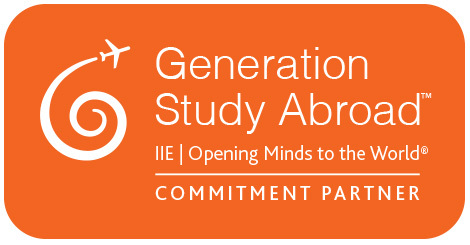 Check out more information on IIE’s Generation Study Abroad initiative and see a complete list of commitment partners.